Over the next three posts, I’m going to cover five reasons why I think you should use Twitter, and how it can be incredibly useful as a networking tool. I’m not going to go into details about how to set up a Twitter account, and will instead link to some Twitter 101 guides to help you get started at the end of this post. However, before we start, I’m going to cover some terms I’ll be using so everyone is on the same page. 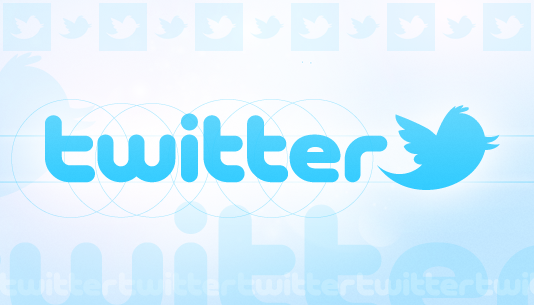 A “tweet” refers to a message up to 140 characters in length. This is the message that you write. A “hashtag” is a Twitter based “filing system.” Within Twitter, people can use hashtags to categorize tweets. So, for example, tweets about graduate school use the #gradschool hashtag; Tweets about Kingston use the #ygk hashtag. It means that anyone who wants to find Tweets about Kingston can search #ygk, and as long as the original poster used that tag, they’ll be able to find it. Other popular tags include #cdnpoli (for Canadian politics), #madwriting for people who are trying to bust through a writing slump, and #TMLtalk for those with terrible taste in hockey teams. Events such as the #GoldenGlobes also have their own hashtags. “Retweeting” refers to when you repeat what someone else has written, giving them credit. This can occur either through a direct retweet (using the retweet button), or by adding a comment and the letters RT before the original tweet. Everyone has a cellphone; some people have two. With the advent of social media (i.e. Facebook, Twitter etc), we are sharing more than we ever have in the past, and anyone can know about that awesome new app that I found, or the delicious Christmas dinner I made. However, while personal tweets can be frivolous, using them to track when people report symptoms of being sick is something that Epidemiologists can use. You imagine the number of “I hate being sick!” and “My nose is stuffed up!” tweets people write in the winter and you know what I mean. This is a very rich, but very poorly understood data source. There has been some exploratory work in this area. A researcher at LSU looked at the accuracy of using Twitter as a predictor of influenza outbreaks, finding that it was quite accurate, as the graph below shows. These results show extremely strong correlations for all queries except for fever, which appears frequently in ﬁgurative phrases such as “I’ve got Bieber fever” (in reference to pop star Justin Bieber). Another example of researchers using Twitter for Epidemiologic research is investigating how misinformation spreads through social media. Researchers at Columbia sampled 1000 tweets that mentioned antibiotics to investigate how they were reported on Twitter. While the vast majority of tweets were innocuous, there were some that were clearly incorrect or misinformed. What is important however is the reach of these tweets: while 302 tweets by 277 individuals incorrectly used the words “cold” and “antibiotics” together, those tweets reached 850,375 followers (although this number is heavily skewed; the median number of followers was 66). Rest assured readers, Bieber Fever is not an infectious disease. Come back on Wednesday for Reasons 2 and 3! For a guide about how to set up a twitter account, I’d recommend the following links for a handy “how-to”: Wikihow, CNet, Brent Ozar’s FAQ, as well as Travis Saunders’ post about Twitter etiquette. If you’re wondering who to follow, I’d recommend checking out these lists: Colby Vorland’s list of Nutritional and Health Science people, Health Scientists, Shelley Wallingford’s list of Epidemiologists, Sara Caldwell’s Science-y Folk, RenuShenu’s Public Health Tweeple, Melonie Fullick’s PhDChat and Liz Ditz’s MedSocialMedia. Thanks to readers Natalie C. and Lyndsay H. for the idea for this series! Fantastic post. I think the next generation of epis is going to have some really terrific ideas about how to use social media to collect data. Of course, that concept in and of itself will set off a new round of tinfoil hat-itis. So we’d better get started on our studies now! Absolutely! Social media is just another great untapped resource we can use for our Epi research! Thanks for the references to the interesting articles! Absolutely! Google is another really rich source of information we just don’t know how to use right now. Thanks for the link and the comment! Reblogged this on Inside the Brain.